Most adults and some children have had at at least one encounter with a sinus infection. As a result, you probably know how annoying and sometimes painful sinus infections, or sinusitis, can be. 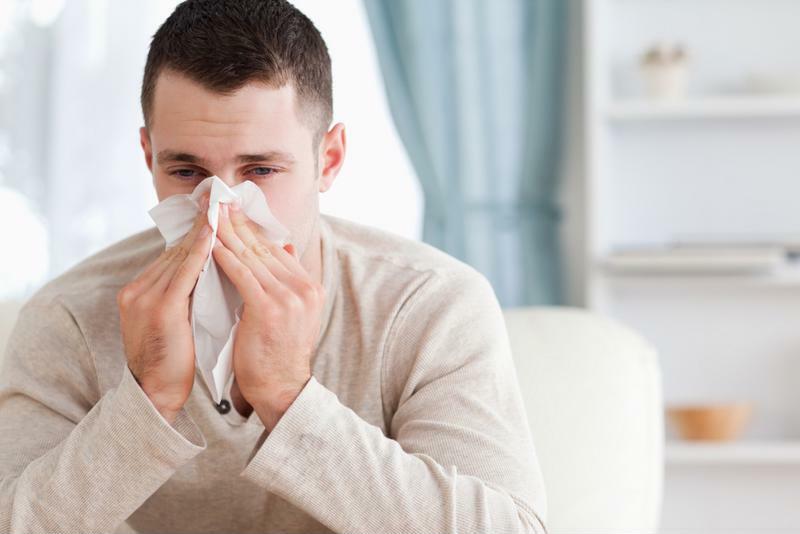 With winter approaching, sinus infections become more prevalent and may impact your day-to-day life. It is important to know when and how to treat them if you experience sinus discomfort. Sinus infectors occur when then the space around your nasal passages, or sinuses, is swollen, according to the Mayo Clinic. As a result, sinus drainage slows down, causing mucus to develop. This buildup is what prompts irritation and stuffy noses. According to the U.S. National Institutes of Health, there are two types of sinus infections: acute sinusitis and chronic sinusitis. Acute sinusitis has a duration of up to four weeks, while the chronic form of sinusitis lasts more than 12 weeks and sometimes lasts for multiple months or years. For the more common acute sinusitis, the symptoms include congestion, cough, yellow or green-colored discharge from the nose or throat, tenderness and pressure around the eyes and a decreased sense of smell and taste, according to the Mayo Clinic. Additional symptoms can include fever, headache, tiredness and pain in the upper jaw, ear and teeth. Dr. Richard M. Rosenfeld, an otolaryngologist at SUNY Downstate Medical Center, told the New York Times that children who suffer from sinus infections often have bad breath, cough during the day and are grumpy. However, symptoms of fever, headache and facial tenderness may not be present. Sinus infections often inflame your nasal passages. Sinus infections have multiple causes such as allergies, asthma, bacterial infections and a cold, among other causes, according to the NIH. Acute sinus infections are either viral or bacterial. Sinus infections that get better in 10 days are typically viral infections, whereas those that do not improve after 10 days are most likely caused by a bacterial infection, Rosenfeld explained to the Times. Unfortunately, antibiotics can only be prescribed for bacterial sinus infections. Therefore, you commonly have to wait before seeking treatment for sinus infections. According to the Cleveland Clinic, doctors typically suggest that patients hold off going to a health care facility for treatment until they have experienced symptoms for seven to 10 days. In the meantime, Dr. Raj Sindwani said to drink a lot of liquid, get a lot of sleep and take Tylenol for discomfort if needed. "Antibiotics can only help bacterial sinus infections." "If you don't get better, we start thinking there's a bacterial component," Sindwani told the Cleveland Clinic. "That's when we pull the trigger on an antibiotic." The Times said that most cases of acute sinusitis get better without antibiotics, but they are often prescribed to reduce pain and expedite recovery. While the majority of sinus infections are harmless, there are rare occurrences when sinusitis can become serious. Sinusitis is dangerous when the sinus infection spreads to the brain or eye regions. Signs of eye complications include swelling and decreased vision. A high fever is another indication of potentially severe side effects of sinusitis. If you or your child experiences sinus infection symptoms, it is important to get to a doctor or CareWell Urgent Care location immediately. You can book an appointment online or over the phone, or just walk in for a visit with a health care professional. With the appropriate medication and follow-up care, you will feel back to normal in no time!